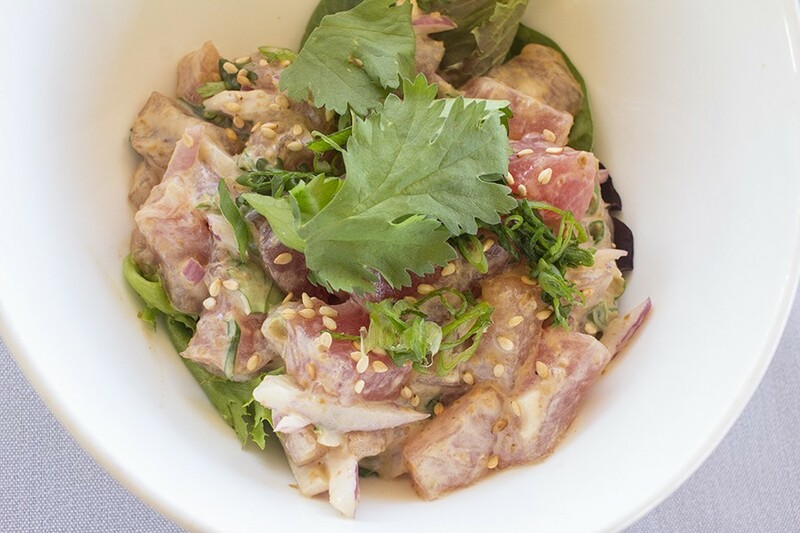 Robata's tuna poke is like a Hawaiian vacation in a bowl. 7260 Manchester Road, Maplewood; 314-899-9595. Mon.-Thurs. 5-11 p.m.; Fri.-Sat. 5 p.m.-12 a.m. (Closed Sundays). Inside Maplewood's Robata, guests sit elbow to elbow at the bar, jockeying for limited real estate like apartment hunters in Tokyo. The place is painfully crowded: Hungry diners-to-be hover over tables, ready to pounce before the current occupants slurp the last of their ramen. Servers crash into patrons, cooks crash into servers and patrons crash into one another. The entire place is filled with steam and grill smoke from a hood system overwhelmed by the volume. It's the most densely packed dining spot in town, bustling with frantic activity. It's as if all the energy of Tokyo was captured under this one modest roof. 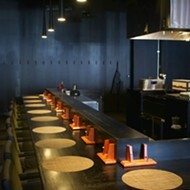 There's a reason Robata is so mobbed with people. 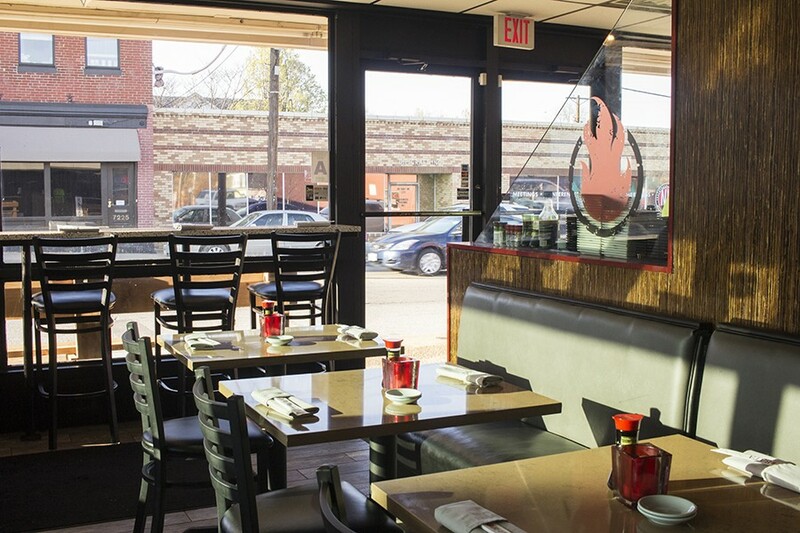 If you want a taste of real Japanese food, not just the rolls and teriyakis the Midwest has long passed off as such, this five-month-old spot in Maplewood is about as close as you'll get without leaving town. Chef and owner Thom Chantharasy has created a menu of izakaya-style small plates, ramen and sushi that goes far beyond California rolls and Maruchan Instant Lunch. 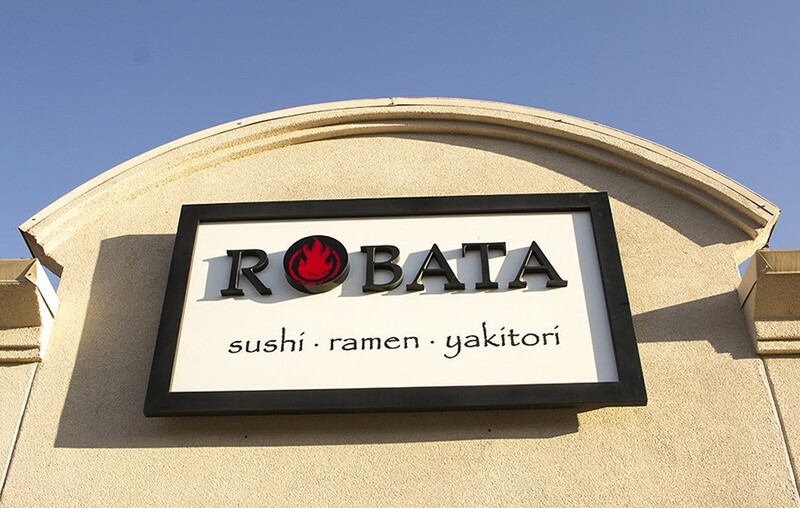 Robata used to be a Church's Chicken. 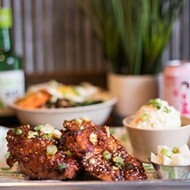 That such an experience comes packaged in a former Church's Chicken is both slightly humorous and a testament to Chantharasy's vision. After closing his South Grand restaurant Sekisui, Chantharasy and his wife Kim got to work converting the fast food shack into a combination sushi bar, yakitori grill and ramen shop. The transformation is stunning. The pair replaced Church's front counter with a granite bar and opened the kitchen so that guests can witness the organized chaos. Gone are the chicken joint's laminate booths and fluorescent lights, replaced with a dimly lit dining room featuring a handful of two-seater tables and chairs. 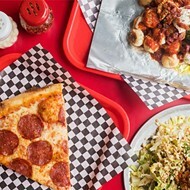 A patio sectioned off from the restaurant's parking lot triples the amount of seating — it's a welcome option, though the eatery's transportive vibe dissipates when you walk outside and find yourself smack-dab on Manchester Road. Fried octopus dumplings are a delight. You can recapture the feeling of authenticity with the agedashi tofu. Large cubes of the creamy soybean curd are fried so that the exterior is crunchy, while the inside has the texture of a slightly spongy creampuff. The flavor is imbued with the accompanying soy dashi and fish flakes, resulting in a delicious mingling of umami, salt and sea. 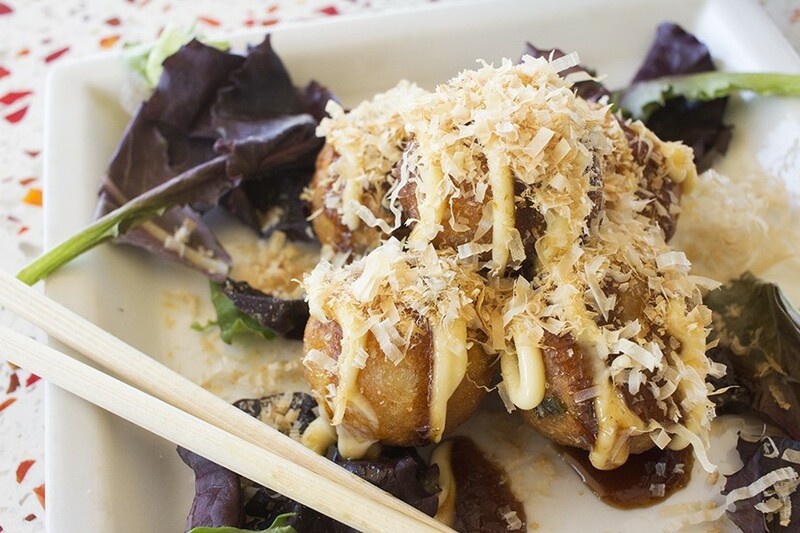 The takoyaki, or fried octopus dumplings, are alone worth a 45-minute wait for a table. On the outside, the small, ball-shaped fritters look like hush puppies left over from Church's. Inside, however, the creamy batter mingles with hunks of octopus for a subtle salty flavor. Sweet and salty katsu sauce and Japanese mayo are served for dipping, though these are tasty enough without the accompaniments. The "Robata Chicken Wings" are the restaurant's take on tebasaki, or Japanese chicken wings. 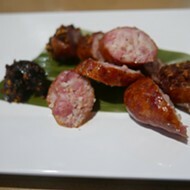 The crisp, peppery meat on this version is covered in a sweet soy concoction that is liberally laced with garlic. It's not a sticky glaze by any means — more of a light coating that mingles with the crackly skin. They're extraordinary. 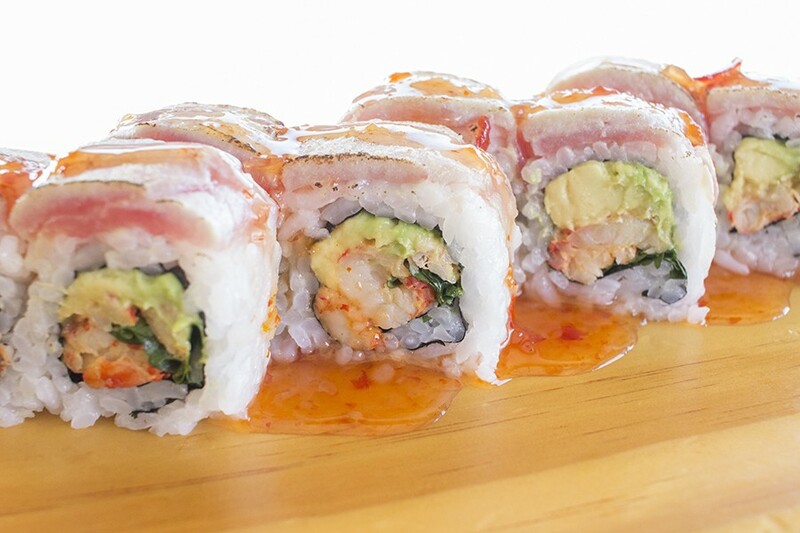 The "Fiesta Roll," which features tuna, avocado, cilantro, seared albacore and sweet chili sauce. Chantharasy shows that he's capable of also representing the southern part of the Pacific with the excellent tuna poke. Cubes of raw tuna the bright hue of pink grapefruit are tossed in sesame and soy, a Hawaiian vacation in a bowl. The dish was a welcome distraction from the disappointing pork gyoza we'd also ordered. These generic dumplings were small and chewy. They tasted as if they'd come from the frozen food aisle. The yakitori offerings were equally unimpressive, especially in terms of value. The skewers of grilled meat are tiny — about three bites per order. Beef belly, glazed in sweet soy sauce, was juicy but tough, and the scallops were nickel-sized and cut into thirds. The marinated chicken thigh was the best of the three, but it did not rise to anything more than a passed appetizer you'd find at a cocktail party. Sushi is good, though it doesn't rise to the best in town. The tuna sashimi is properly bright and fresh, while rolls range from the simple spicy tuna to more creative concoctions like the "Hurricane." This Louisiana-inspired roll pairs crawfish with crab and cream cheese; the entire thing is then battered and tempura-fried. It's nothing you'd find if you sat down at Jiro Ono's table, but it's a shameless pleasure nonetheless. Tonkatsu ramen with roast pork, green onions, boiled egg, seasoned bamboo shoots, bean sprouts, nori, red ginger and wood ear mushroom. The soul of Robata's menu is its selection of rice, noodle and ramen bowls. 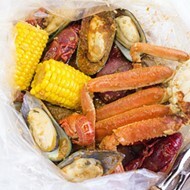 Here, you'll get a taste of everything from stir-fried specialties to Japanese style soups that are about as close to pre-packaged Top Ramen salt bombs as a Big Mac is to a Kobe ribeye. The seafood yakisoba, a cornucopia of fruits de mar, pairs scallops, shrimp and squid with stir-fried buckwheat noodles. As if this weren't enough, Chantharsay covers the dish with fish flakes to enhance the already briny flavor. On the takana yakimeshi, fried rice heavy with sesame oil serves as the base for barbecue pork, fish cake and vegetables. The highlight is the pickled mustard greens that cover the bowl — the crisp, pungent addition brightens the otherwise rich dish. Chicken udon is Chantharasy's version of grandma's chicken soup. Silken noodles bob in a bowl of delicate broth with hunks of seasoned pulled chicken, green onions, cilantro and fried garlic. This understated dish should be your go-to if you're feeling under the weather. Add Robata to the list of ramen restaurants slated to open this year. Here, it's a build-your-own concept that allows you to customize the broth, noodle type (regular, thin, fat-cut or rice), condiments and toppings for a seemingly endless choose-your-own adventure in Japanese soup. 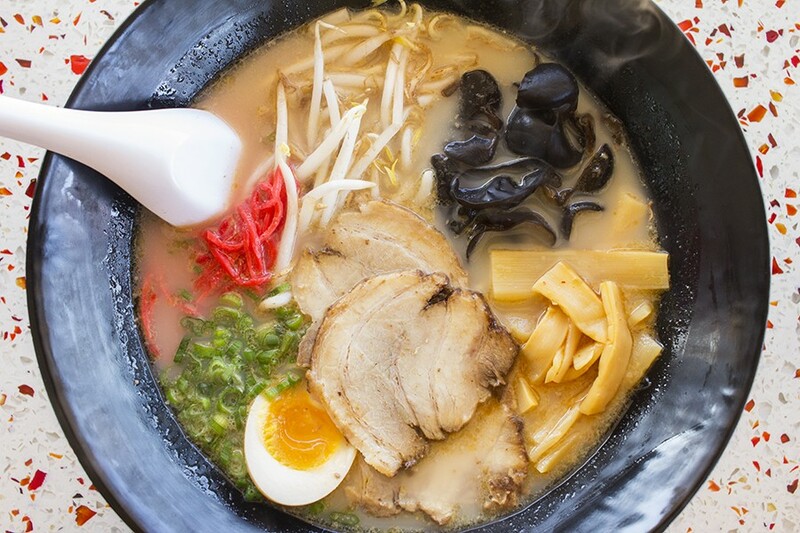 The traditional tonkatsu features a thicker broth, rich with flavor and texture from pork bone. Based on appearances, I expected more of a hearty flavor — it was a touch too understated for my preference, though still enjoyable. The chicken and spinach broth had a thinner body but was more flavorful than the pork. Both were served with traditional accouterments — wood ear mushrooms, green onions, soft-boiled eggs, bean sprouts, seaweed and thin slices of roasted pork (the meat sadly on the chewy side). In a soon-to-be competitive ramen market, I'd give this a solid B.
Robata is packed, but the servers keep things moving. Robata's menu is enormous — if you are reading this and already overwhelmed with the choices, keep this in mind: I barely touched on the offerings available. The menu is so large the service staff hands you a pencil and instructs you to circle everything you want. It can be intimidating, especially since many of the options are Japanese terms whose translations are not immediately obvious to the uninitiated (myself included). Thankfully, the service staff navigates the massive menu as aptly as it does the overall chaos of the restaurant, keeping the food coming quickly and readily explaining every exotic-sounding item with seemingly encyclopedic knowledge. 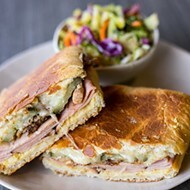 At this welcome addition to the St. Louis restaurant scene, not much gets lost in translation.